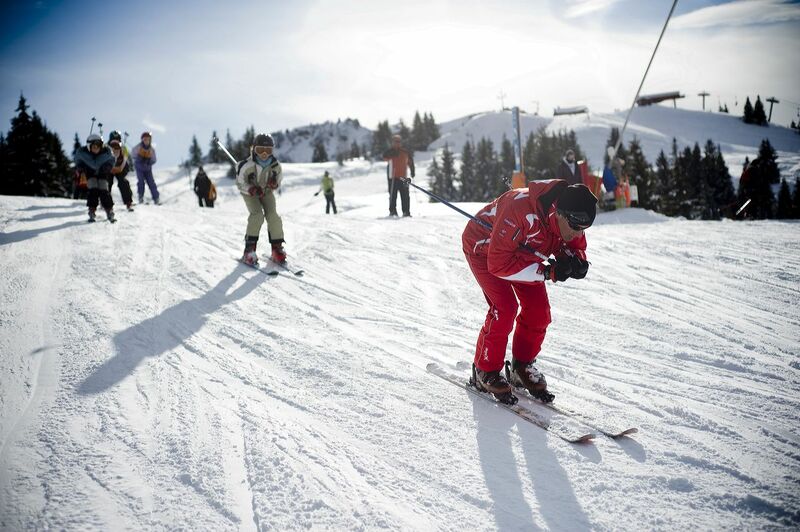 When learning to ski, there is a lot to consider. Whether it’s getting the right gear, choosing the top ski school or making sure you are in tip top physical shape, you’ll need to think about a lot. However, what some people forget is that choosing the perfect resort to learn to ski can have a huge impact on your experience on the slopes. You need a resort with a range of gentle slopes, fantastic ski schools and enough variety to allow every level of skier to progress and enjoy themselves. If you’re looking for the perfect combination of these elements, Les Gets may well be your ideal destination this year. Plus, with a range of exceptionally high quality accommodation available from local experts Chalets1066, first time skiers are sure to fall in love with not just Les Gets, but skiing itself. Les Gets is a charming Alpine town with huge character and a lovely local ski area that allows access to the incredible 625km of the Portes du Soleil ski area. As a result, it has everything that you could want as a base from which to benefit from ski lessons. 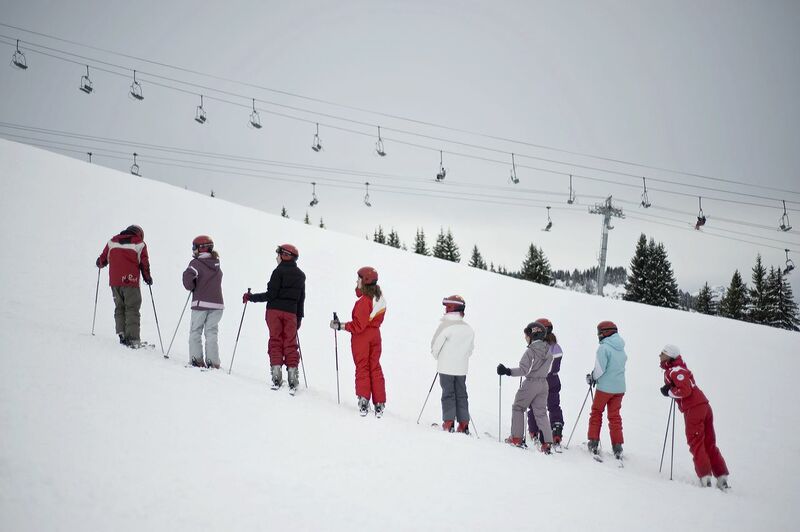 WIth a wide variety of pistes that will support learning at every level, you can develop your skills quicker and with more confidence than at some other resorts. Not only for beginners, in Les Gets intermediate and advanced skiers alike are offered the opportunity to improve on (or off!) the pistes while having a lot of fun enjoying some spectacular skiing in the process. Most Alpine resorts are geared somewhat towards a particular type of skier – some are best for complete beginners, others favour intermediates and a few are perfectly suited to advanced skiers. However in Les Gets, there’s something for all, which means it offers the best value and opportunity for those learning to ski that might be at different levels of progression. The perfect resorts for those learning to ski will provide a vast amount of suitable terrain to allow you to work on all aspects of your skiing, learning strong skills and progressing and practicing to the best of your abilities. In Les Gets, beginners can start on the wide, gentle nursery slopes, two of which are serviced by a ‘magic carpet’, meaning you can get from bottom to top without having to worry about a drag or chairlift! What’s great about the nursery slopes in Les Gets is that they aren’t too steep at the top, This means that even complete beginners can make the most of the magic carpet, instead of it only being available for use by those who can snow plough turn well enough to control themselves on a steep slope. Here, the magic carpet learner runs are gradual – able to be skied by those who have learnt a simple snow plough glide (which can be learnt within the first 20 minutes of lessons). With three nursery slopes that allow for easy gradual progression and therefore quicker learning. Beginners can remain on this gentle terrain until they have really mastered the skills of snow plough and plough parallel, meaning that by the time you advance onto steeper terrain you are truly ready. It can be easy to get carried away and want to hit the more challenging slopes too quickly, but doing this before you are ready can limit your development and hinder your learning. Learning on lovely gentle slopes also means that you don’t have the anxiety or worry that you may have if you were using a slope that was too difficult for your ability. This allows you to progress much more rapidly and in a more relaxed manner, able to truly enjoy this amazing experience. When you are ready for more serious beginner slopes, the local area of Les Gets has over ten easy blue runs, all of which are perfect for those beginners ready to take the next step from the nursery slopes. These runs are great for those looking to develop their plough parallel and then parallel turns, with a number of different options meaning you can enjoy varying scenery and terrain across the resort whilst practicing your skills. This makes a change from many resorts, where there are only few runs suitable for beginners. Skiing the same runs over and over is never fun and gives you a lack of the variety that is so important when learning. However, we cannot by any means say that skiing in Les Gets is just for beginners. A whole host of pistes of varying difficulties, often running near to each other and serviced by the same lifts, mean that groups of all abilities can enjoy their skiing days together, whilst not feeling limited by their piste options. In Les Gets itself, there are also a number of black and off piste runs, which are perfect for any advanced skiers to enjoy the best of what this beautiful area has to offer. With high quality advanced instructors and a lot of powder runs available in the Mont Chery area or Les Gets bowl, you can develop your off piste technique, or practice your cliff drops up at Nyon. This is yet another reason we would recommend learning in Les Gets – the high quality of instructing, for all levels of skier. To teach in France, instructors need the world’s highest level of ski qualification (BASI Level 4 for UK Ski Instructors). This means you can be safe in the knowledge that your instructor has a LOT of experience and will provide the highest standard of ski tuition. And if you still fancy more, you can head off and explore the whole Portes du Soleil ski area, with it’s huge 625km of incredible piste and wide range of off piste options. It’s truly a playground for all types of skiers, from freestyle to freeride, you will have a lot of fun here. Access to Les Portes du Soleil is not just for advanced skiers either; most of the area can be accessed from Les Gets via blue runs, so that skiers of all ability can enjoy the whole area. To really give your holiday that little extra magic that learners are sure to appreciate, travel with family-run tour operator and local experts Chalets1066. Not only will they be able to advise you on the best ski areas, restaurants and ski schools, they are able to provide a tailor-made holiday experience to allow you to get the most out of your holiday. Their holidays are fully flexible, including a number of catering options, transfers and even sorting ski hire in your chalet. Their chalets are beautiful, high quality and often in the best locations, meaning no lengthy walks or bus journeys to the slopes. What a way to make learning to ski stress free! Where is Good to Ski Right Now? Compare top ski schools in 500+ resorts and pre book ski lessons. InTheSnow Magazine is the only free Winter Sports News Magazine in the UK. Edited by world renown ski journalist and ‘Snowhunter’ Patrick Thorne, 40-50,000 copies are signed for and distributed by 700 locations across 10 countries and 15 ski resorts worldwide. Thank you. You have successfully subscribed to our newsletter, please confirm your subscription by visiting your mailbox. Sorry. An error occurred, you have either already subscribed to us or an error has occurred. Dump alerts, the coolest videos, the world’s largest resort guide, discount ski gear and holidays, huge gear buyers guide channel - everything that’s great about skiing and snowboarding. Almost there - if you want to get the coolest videos, gear reviews, snow reports, competitions and ski news from around the world, make sure you check your inbox and confirm that you want to hear from us.